I enjoyed the stay very much: the apartment is gorgeous and the location is perfect! Nowoczesny apartament, pomysłowo urządzony. Można poczuć się komfortowo, jak w domu. Bardzo wygodne łóżko w sypialni. Niesamowicie serdeczna obsługa. Polecam! 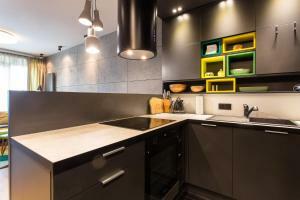 Piękny design apartamentu, pełne wyposażenie, polecam gorąco. Bardzo dobry kontakt z Właścicielem, szybki proces meldowania i brak konieczności osobistego kontaktu. Bardzo mila wlascicielka, wszystko bylo dograne idealnie, piekne i wygodne mieszkanie. 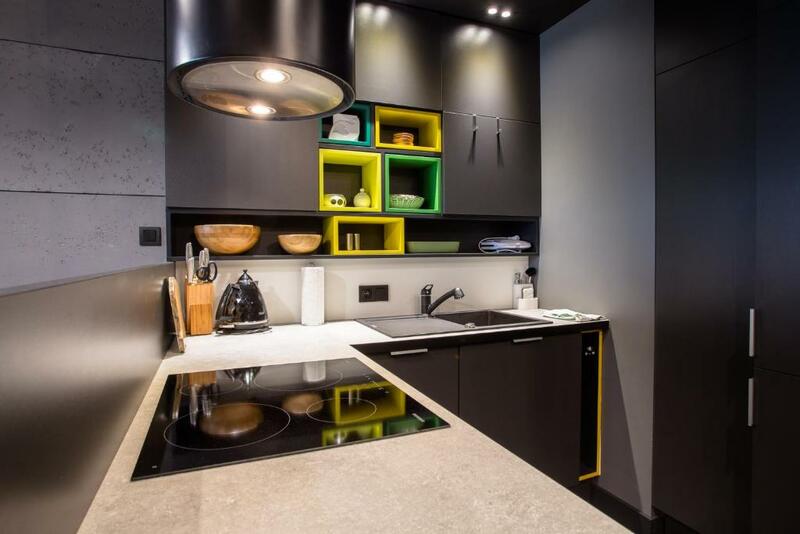 Apartament super,Właścicielka przesympatyczna.Jeśli będę nocowała w Poznaniu to tylko w tym apartamencie. Apartament wyposażony w wysokiej jakości meble i sprzęty. Wszystko sprawne i czyste.Wygląda tak jak na zdjęciach, a nawet lepiej. Szczerze polecam. Lock in a great price for Sweet Home Chillout – rated 9.6 by recent guests! 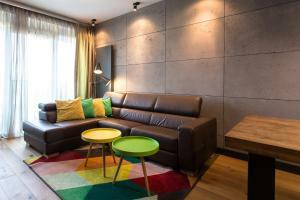 Offering a casino and a garden, Sweet Home Chillout is located in Poznań, a 9-minute walk from Royal Castle. The property has river views and is half a mile from National Museum and a 14-minute walk from City Hall. 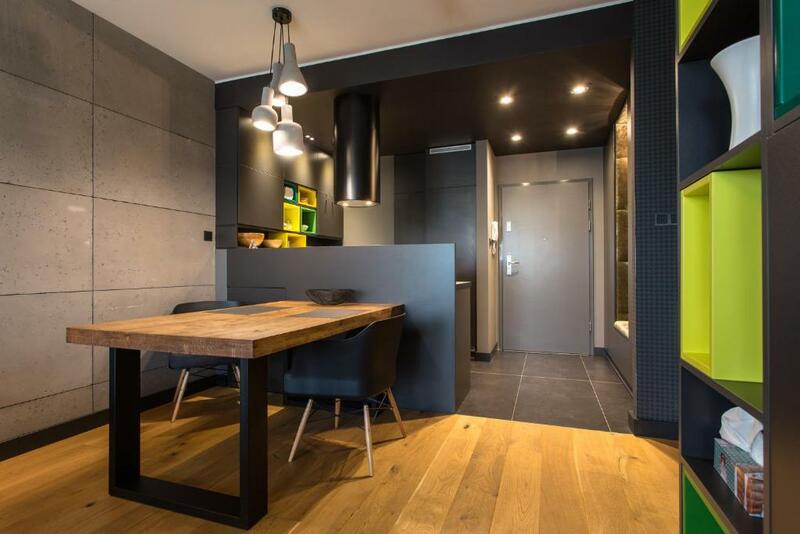 With 1 bedroom, this apartment features 1 bathroom with a bidet, a shower and free toiletries. There's a seating area, a dining area and a kitchen complete with a dishwasher, an oven and a toaster. St. Stanislaus the Bishop Church is 0.8 miles from the apartment, while Poznań Grand Theater is a 20-minute walk from the property. Poznań-Ławica Henryk Wieniawski Airport is 5 miles away. This property also has one of the top-rated locations in Poznań! Guests are happier about it compared to other properties in the area. 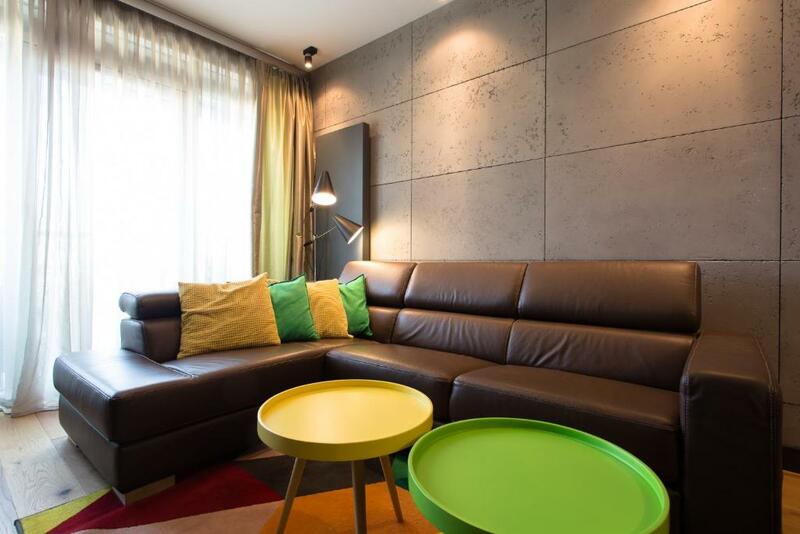 뀐 Located in the real heart of Poznań, this property has an excellent location score of 9.7! When would you like to stay at Sweet Home Chillout? This apartment has a balcony, washing machine and sofa. Modern, very tastefully decorated Deluxe Suite - Parking Free, with balcony and garden furniture, on the 5th floor of a new exclusive building, in a great location - Old Town, in the heart of Poznan, close to the Old Town Square and its attractions. Everywhere very close! 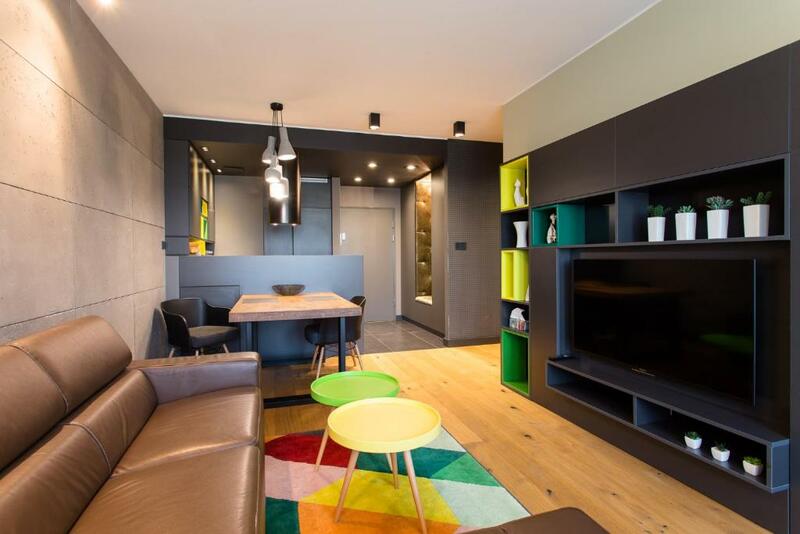 Beautiful and modern apartment with panoramic views of the city of Poznań. The price includes: convenient and monitored underground car park, high speed internet (WiFi), porter and intercom. Quick, easy and convenient check in / out with the access codes sent via SMS. No keys needed! I cordially invite you! I will be very pleased to host you! Dear Sir or Madam, I am very happy to welcome you! My name is Jagoda and I am the manager of the Apartment 5th floor - Old Town - Free Parking. I am trying to make your stay in our apartment a pleasant and successful and it fulfills all your expectations. We are counting on you to be our returning guests every trip to Poznan! I hope to hear from you! I will be very pleased to host you! Excellent, attractive and peaceful location in the very center of Poznań - the Old Town. A few steps from the Old Town Square and the River Warta. 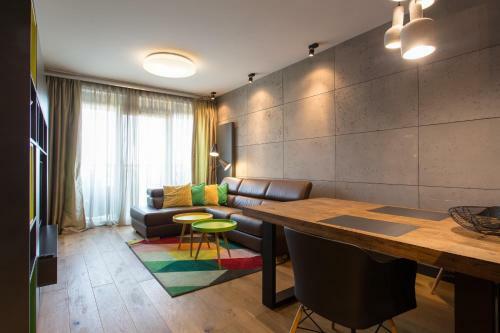 Close proximity to shops, restaurants, clubs, lakes Malta, Malta Term (Sauna, Swimming Pool, Spa Poznań, Thermal waters), many museums and other attractions in Poznan. I warmly Welcome! I will be very pleased to host you! House Rules Sweet Home Chillout takes special requests – add in the next step! A PLN300 damage deposit is required on arrival (around USD78.27). This deposit will be fully refunded 7 days after check-out, as long as there isn't any damage to the property. Sweet Home Chillout accepts these cards and reserves the right to temporarily hold an amount prior to arrival. A damage deposit of PLN 300 is required on arrival. That's about 78.27USD. This will be collected by credit card. You should be reimbursed within 7 days of check-out. Your deposit will be refunded in full by credit card, subject to an inspection of the property.